The Theatre and concert season in Vienna continues , while the traditional Philharmonikerball takes place in the world famous building of the Wiener Musikverein. 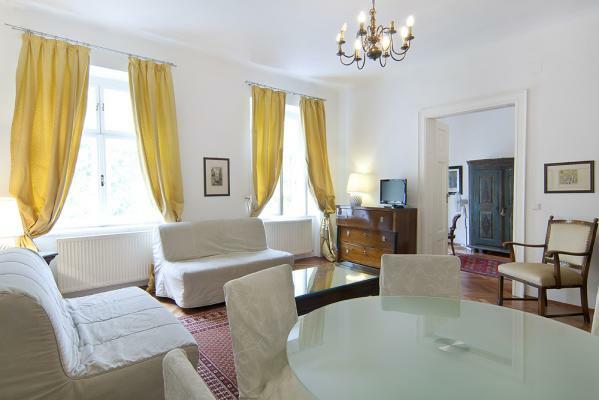 - Looking for elegant, first class accommodation in central Vienna - 10 minutes walking distance from the Spephansplatz? With all amenities leaving nothing to be desired? vienna-lodgings „endeavour to give satisfaction“ to the judicious traveller seeking short term or longterm accomodation in the centre of Vienna, Austria. 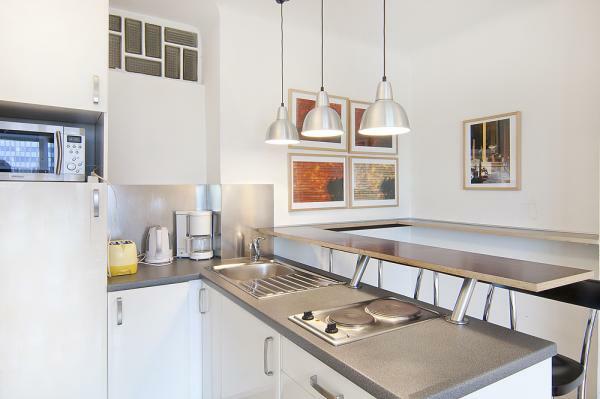 Elegantly furnished, with fully equipped kitchens and bathrooms. TV, telephone and internet, as well as air-condition in the penthouse apartments are at the refined guest’s disposal. The dwellings are located in the centre, a mere ten minutes walk to St.Stephen’s Cathedral, the Opera, the Spanish Riding School and the Hofburg. The puissant subway – system, the U-Bahn (Underground) can be reached in a five minutes stroll. Inexpensive parking facilities will be arranged by vienna-lodgings within reasonable reach in the vicinity. Children are heartily welcome, and beds for the younger generation will be provided with pleasure if desired. 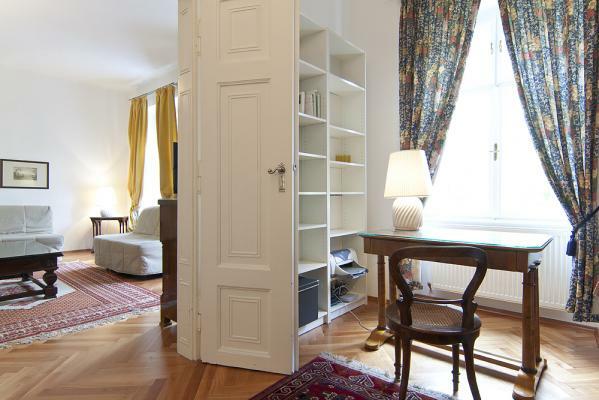 Apartment Vienna - Our up to date equipped and comfortable Vienna accommodations enjoy an exceptionally good location near the historic centre, just between Sofitel Vienna Stephansdom and Novotel Wien City, St.Stephen’s cathedral being within ten minutes walking distance. Relax in the nearby Stadtpark (City Park), Prater or on the lively banks of the Danube Canal, which also offers a town sand beach and outdoor pools on boats. Parking is available nearby. Two underground stations (Nestroyplatz U1, Schwedenplatz U1 and U4) are within five minutes walking distance. 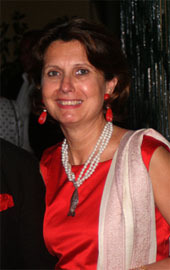 Supermarkets, banks, restaurants, and shops can be found in the immediate neighbourhood. Three underground stops to the International Organisations, (UNO, IAEA, UNIDO), the conference centre and the trade fair (Messegelände). Ideal for families! 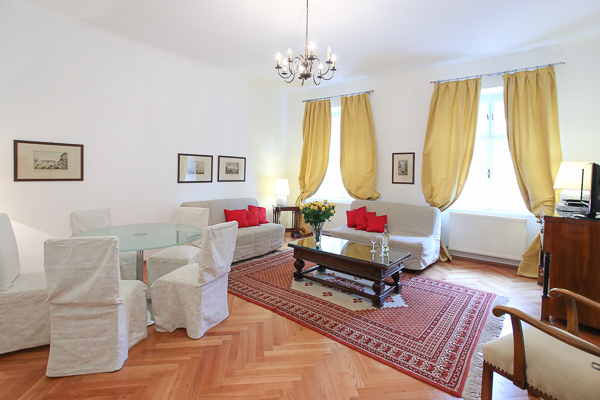 We are glad to offer our guests a pleasant sojourn for days, weeks or months for an equitable price in the heart of Vienna, and in perfectly equipped flats. The size of the apartments is 60 - 66 square meters, encompassing living room, bedroom, fully equipped kitchen, and bathroom with bath tub. Internet access and cable TV throughout. The dwellings suit one to five persons. The size of the apartment is 66 square meters, encompassing living room, bedroom, fully equipped kitchen, and bathroom with bath tub. Internet access and cable TV throughout. The dwellings suit one to five persons. 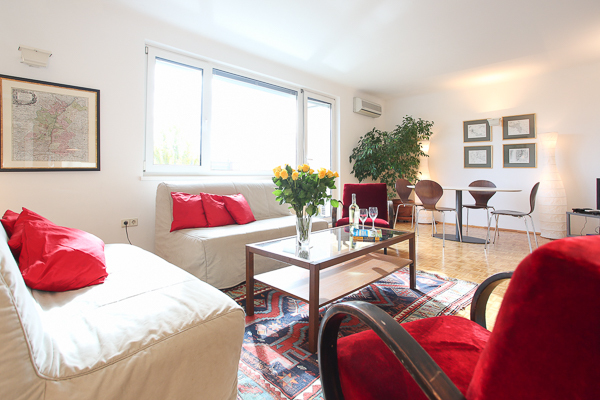 This central Appartement is elegantly furnished and offers of course Tv and Internet and Telephone. 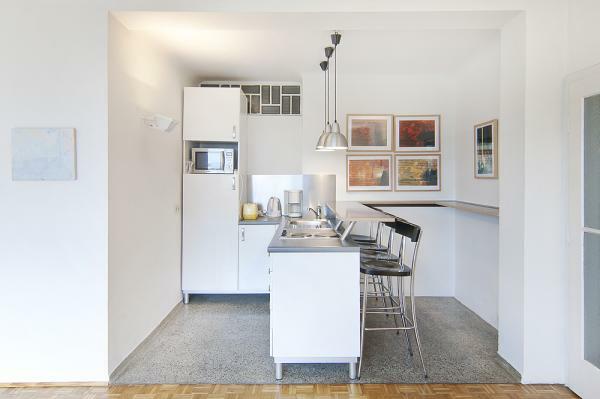 It comprises of a fully equipped kitchen and bathroom . The dwelling is located in the centre, a mere ten minutes walk to St.Stephen’s Cathedral, the Opera, the Spanish Riding School and the Hofburg. The suit can be rented for days, weeks or even months and can fit 1 to 5 persons. The puissant subway – system, the U-Bahn (Underground) can be reached in a five minutes stroll. Inexpensive parking facilities can be arranged by me within reasonable reach in the vicinity. Children are heartily welcome, and beds for the younger generation will be provided with pleasure if desired. 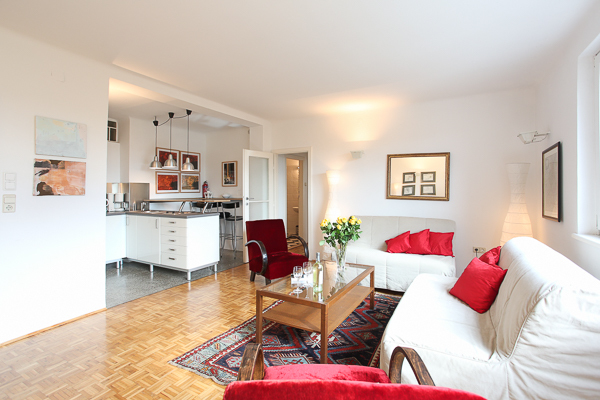 Apartment three is located in close vicinity to the city center on the last ( 8th ) floor overlooking the Donaukanal, a branch of the river Danube. The terrace yields a stunning view over river, Stadtpark and the old town. It offers sun-bathing and dining al fresco during the warmer season, from April to October. 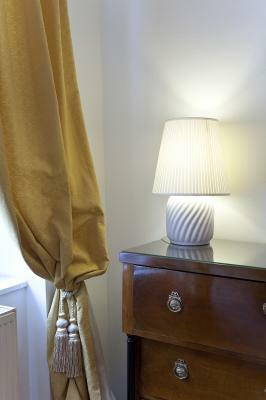 The residence provides sleeping for four, and is furnitured symply and elegant. The historical center can be reached by a 5 minute stroll, and the next U-Bahn station is just two minutes away. A heartly welcome in Vienna, in the 2nd district - from which you can reach Viennas Center and most beautiful sites - even by foot! The appartement is elegantly furnished, with a fully equipped kitchen and bathroom and of course TV, telephone and internet. The dwelling is located in the centre, a mere ten minutes walk to St.Stephen’s Cathedral, the Opera, the Spanish Riding School and the Hofburg. The puissant subway – system, the U-Bahn (Underground) can be reached in a five minutes stroll. Inexpensive parking facilities can be arranged by me within reasonable reach in the vicinity. Children are heartily welcome, and beds for the younger generation will be provided with pleasure if desired.